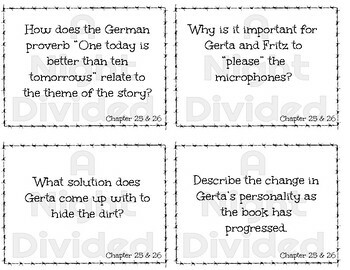 Discussion Task Cards for Chapter 25-47. 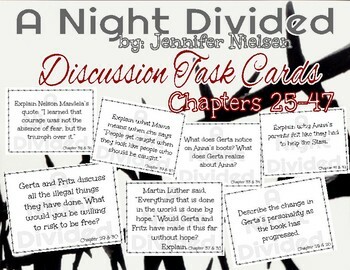 92 Cards to help prompt discussion during a Novel Study! 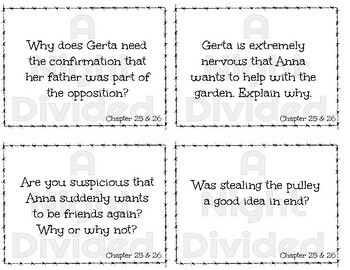 *When printing, be sure to choose "Fit to Page" to ensure the entire card design prints.